CertaPro Painters is dedicated to providing the highest quality painting work with the best possible service to our customers. With CertaPro, you get a quality experience that is unique in the painting business and you get that exprience at competitive prices. We are locally owned and operated and offer a 2 year warranty. Our services include Residential and Commercial interior and exterior painting; light carpentry; drywall repair; and power washing. We also provide local references. From house painting, to deck staining, to wallpaper removal, Fresh Coat offers a wide range of painting and painting-related services. Your team of professional painters will approach every job with service in mind, working every project as if it were theirs. You can even call us for commercial and office spaces, and since they'll offer healthy options, your painters will have you back to work in no time. You'll get quality and service at a price you can afford. We want to show you Painting Done RIGHT! Barnett's Painting And Faux Finishing is your leading source for interior/exterior painting, door refinishing, cabinet refinishing, antique refinishing, and pressure washing. Please give us a call today. We will turn your home improvement dreams into a reality! I LOVE what I do. I like to leave a job with a sense of satisfaction that I did the best I could do and the clients will enjoy their new look, being it inside or out. My staff says I am OCD about the quality of my work. I consider that a compliment. Please read reviews on Thumbtack and you will find customers who are happy campers. Painting contractors and more. We're in the transformation business, with our most important tools being creativity, well-chosen colors, fine craftsman and materials, plus attention to all the details that add up and make the difference between an ordinary result and one that adds beauty, value and enjoyment. After more than thirty years in business, we still love what we do and we're always learning. New Look. Fresh Start. Shiloh Painting, Inc. is a young, family-owned business with an Old World heritage going back five generations. It is with great pleasure that we serve you, the customer, with great care, respect, expertise and excellence that has been faithfully handed down to the fifth generation. Thank you for the opportunity to introduce our company. We are looking for quality minded contractors and home owners that need a better option than the typical painter so please consider us for your next project in the SC area. We have been in business since 1997 with our roots in high-end custom homes and over seventeen years experience. Our business is currently comprised of 90% Commercial and 10% Residential. We have well over twenty full-time painters on staff, each with at least six years experience. They are clean-cut, top quality painters, which means that your job will be done on time, without headache, and to a level of refinement to meet the most meticulous of customers. We take pride in our work and it shows in product and service before, during, and after the project. We are a member of the AGC, the Better Business Bureau, and Painting and Decorating Contractors of America. Thank you for considering 1st Class Painting and Remodeling, Inc. for your project. We look forward to establishing a strong, profitable relationship with your company. 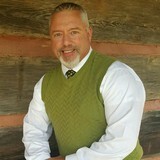 Please do not hesitate to call me if you have any questions or would like to meet and discuss an upcoming project. On my previous work place I've had over seven years experience working with creating beautiful paint colors and learning about related interior paint products. This has given me a treasure box of valuable knowledge when it comes to paint. A rewarding part was and still is helping individuals answer many questions about how to paint, what products to use and answers to different situations according to an individual's needs. 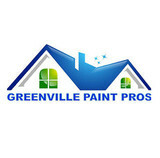 CertaPro Painters of Spartanburg does residential interior and exterior painting in Spartanburg and surrounding areas. We aim to consistently deliver extraordinary experiences to our customers by minimizing uncertainty in the painting process. We take the time to make sure you understand our process, and we keep you informed of our progress throughout your painting project. CertaPro Painters of Spartanburg is locally owned and operated. "Green Pro Inc. strives to provide our customers with integrity, the highest quality workmanship and outstanding customer service in the most cost effective manner without cutting any corners. We strive to start and finish the job on time. We will maintain a neat and clean project. We will ensure you are aware of all of the details. We guarantee our work! It is the goal of everyone at Green Pro Inc. to continue to expand our services. We hire experienced staff, we continue to train and retain our staff by providing the necessary tools, on-site supervision, we promote a professional and safe work environment to all employees." Coopers Painting is a third generation, family-owned company. We are dedicated to quality painting services. Our experience and professionalism is unmatched. We serve Greenville and Spartanburg, SC, and surrounding areas of the Upstate. For any painting need you may have, please give us a call for a free quote. No job is too small or too large! I take great pride in my work. My results are intended to pass inspection by the most critical customer. At Five Star Painting, we understand the importance of color. From a fresh exterior paint job that improves the curb appeal of your home or business, to interior paint that brings style and feeling to your daily life, paint can make all the difference. At Five Star Painting, our mission is to capture your dreams and enhance your lifestyle by adding color to your world. Don’t put off that painting project any longer, call the professionals at Five Star Painting and start enjoying your freshly painted home sooner than later. If you are ready to get started on your painting project, contact Five Star Painting to schedule your free estimate. Our convenient online calendar allows you to choose the date and time that works with your schedule. Our team will show up at the scheduled time and provide you with an exact price quote for the job you have in mind. Whether it be an interior project involving painting and wallpaper removal or an exterior project such as pressure cleaning, deck restoration, or concrete cleaning, estimates are always free and provided at no obligation. Brush Strokes Painting & More LLC's primary goal is to provide the highest quality product at the most competitive prices in the Greenville, SC area. We pride ourselves on our involvement with the customer every step of the way and want our customers to know that we will treat their home as we would treat our own.